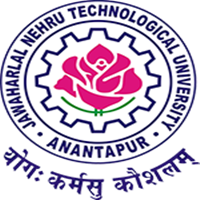 JNTU Anantapur has released B.Tech/B.Pharmacy (Last Chance) I, II-I, III-I & IV-I Supple Exams Time tables March 2018. Students can check their last change examination time tables below. (i) Any omissions or clashes in this time table may please be informed to the undersigned immediately. (ii) If any discrepancies are found, the same may be informed to the undersigned immediately. hi sir, i am the student batch of r13 2013-2018 sir when the last chance my b.tech sir … can u reply me sir plz..
i am the student batch of r09 2010-2014 sir is there last chance for after 2018 sir… can u reply me asap sir plz..
R09 regular admited bach students last chance when sir ? ?